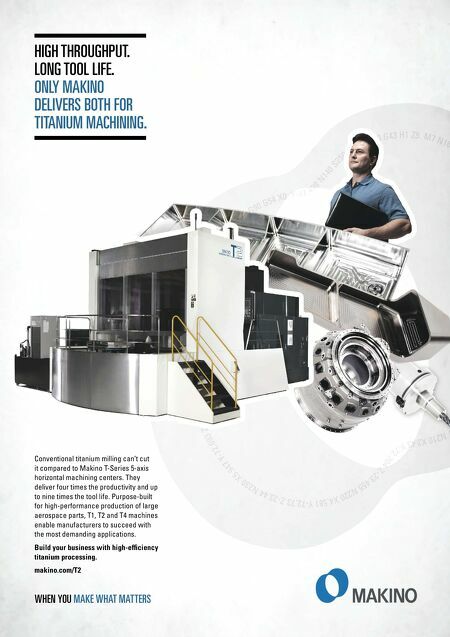 Conventional titanium milling can't cut it compared to Makino T-Series 5-axis horizontal machining centers. They deliver four times the productivity and up to nine times the tool life. 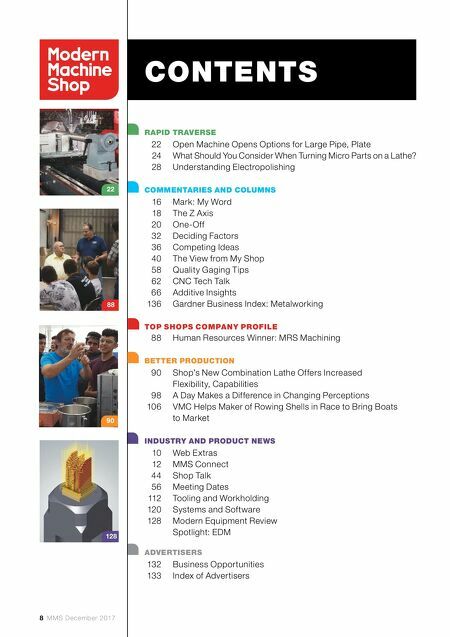 Purpose-built for high-performance production of large aerospace parts, T1, T2 and T4 machines enable manufacturers to succeed with the most demanding applications. Build your business with high-effi ciency titanium processing. makino.com/T2 WHEN YOU MAKE WHAT MATTERS HIGH THROUGHPUT. LONG TOOL LIFE. ONLY MAKINO DELIVERS BOTH FOR TITANIUM MACHINING.